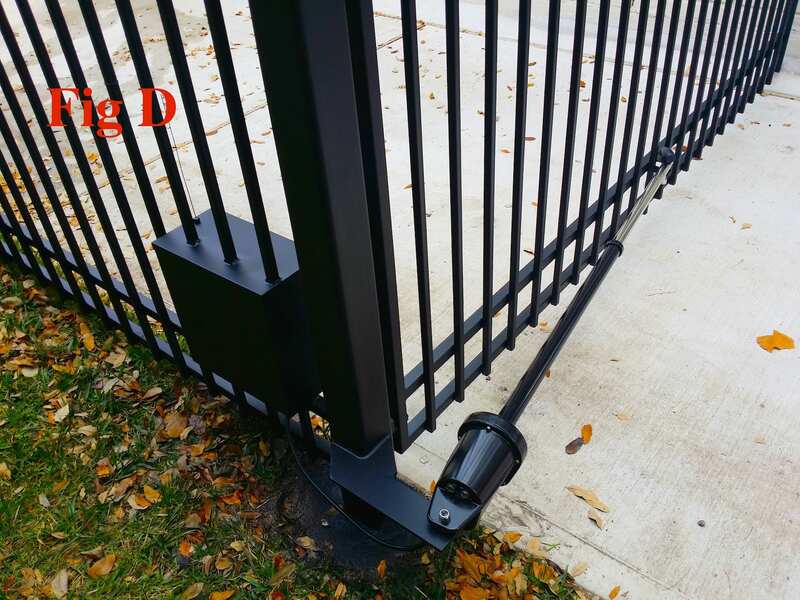 With over 25 brands of residential gate openers on the market, we hope to explain, with the photos below, why we only use and recommend one. 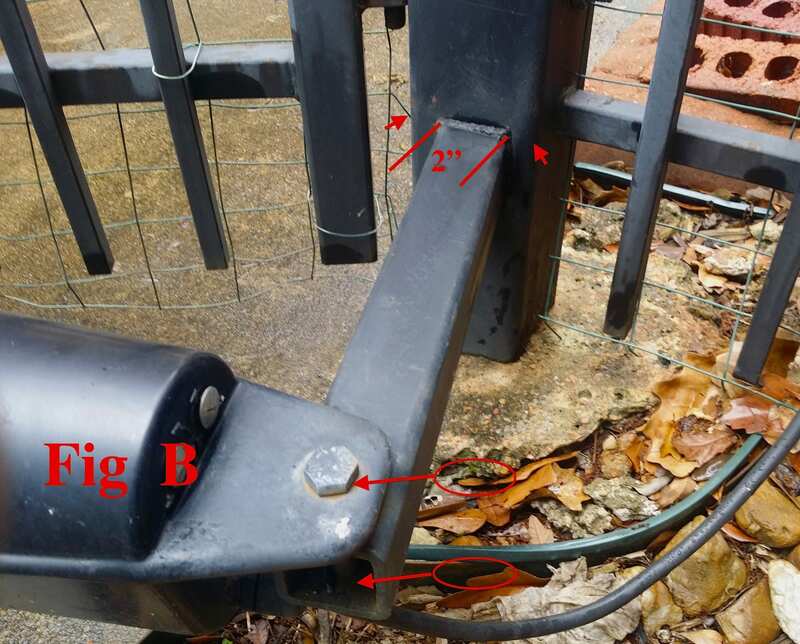 Figure A Represents where we have removed a short Elite actuator grabbing 35″ out on a gate. The 65″ out represents our modified longer Apollo opener replacing the Elite opener. 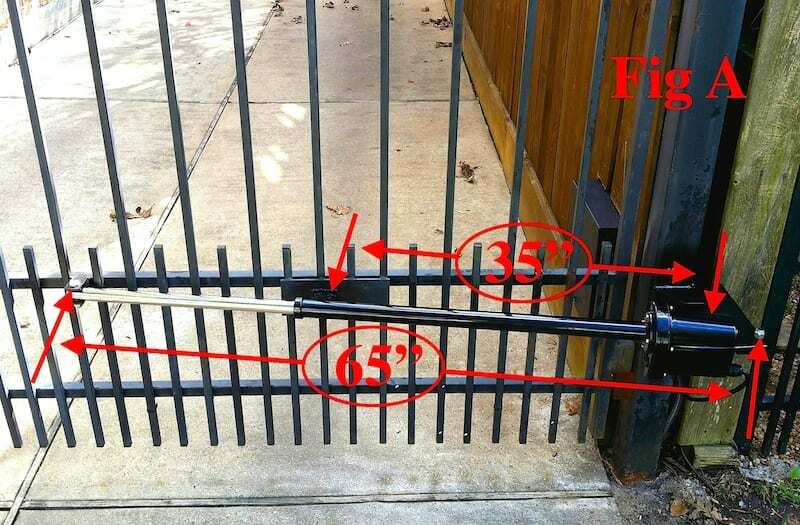 Figure B With this customer’s old Elite opener grabbing approximately 34″ out on the gate and only 6″ from the hinge post, we were able to pull the end of the gate open over a foot! Figure C After we installed our new longer Apollo opener grabbing out at 65″ on the gate and 12″ out from the hinge post, we were not able to pull the gate open at the end but about an inch. 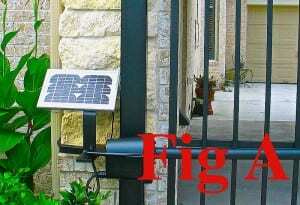 No expensive magnetic gate lock is required with our system. 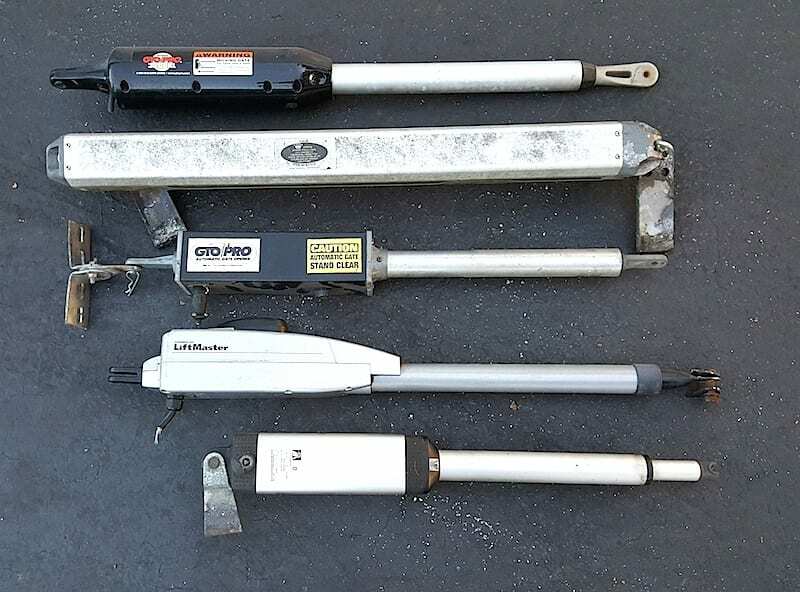 Figure D A few of the shorter gate opener brands that we replace frequently: Liftmaster LA400, BTF, GTO Pro, Mighty Mule, EZ Gate, Elite, Nice, Genie, FAAC. Note: We no longer recommend the US Automatic long arm opener due to the many negative reviews about the problematic plastic limit switches, with many arms seizing up at just 8-12 years out. Figure A This shows our custom built 3″ by ⅜” solid plate mounting bracket. 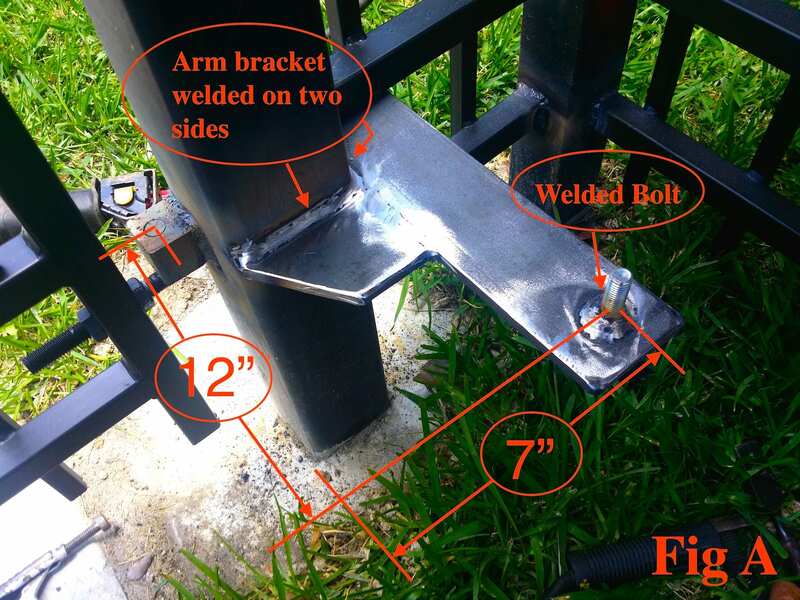 By welding the bracket on two sides of the post, we have eliminated the flex problem. We weld the attachment bolt because the stock attachment bolt wears the hole out bigger over time creating a loose attachment point. FIgure B Showing the stock mounting bracket that tends to flex because it is only welded 2″ across on a 4″ wide post. Further, it is only welded on one side of the post. 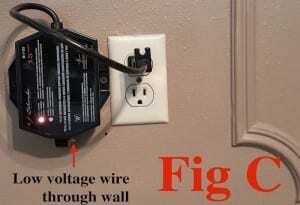 Also, the mounting bolt through a hole not welded creates a loose attachment point over time. Note: A small amount of flex on this bracket amounts to a gate not shutting tightly. Figure C The larger 18” by18” by 8′ deep box is the stock Apollo control box. The smaller 13”by 13” by 6.5” deep box is our thicker custom built design. We started using our custom box in 1998. 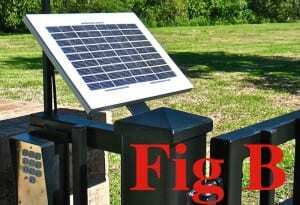 Figure D This photo is of one of our gates with our modified Apollo gate opener system showing our heavy duty mounting bracket welded to the post. 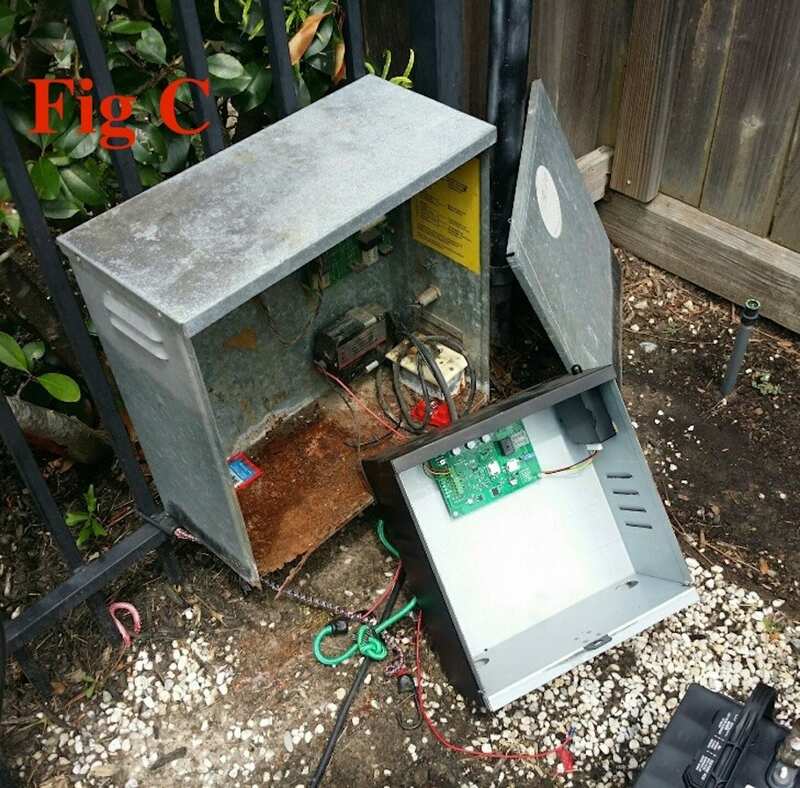 Also, this picture shows a close property line, for this reason we welded our control box in the fence sideways to stay within the customer’s property line. Note: Every opener system we install is custom fitted for each gate setup.